1995’s Solid Ground marks the beginning of the end of Ricky Skaggs’ major label career. The first of a pair of albums released by Atlantic Records, after more than a decade with Epic. It produced three singles, one of which failed to chart and the other two peaked outside the Top 40. He produced the project with some assistance from Brian Ahern. Solid Ground attempts to combine the traditional country for which Ricky was well known with some more contemporary fare designed to appeal to radio. The pleasant but forgettable “Back Where We Belong” became the first single of Ricky’s career not to chart. The title track, which would have fit nicely on his previous album My Father’s Son, was released next and only climbed to #57. The third and final single, a cover of Harry Chapin’s 1974 pop hit “Cat’s In The Cradle”. At first glance it seems like an odd choice for Ricky Skaggs, but it fits well with country music’s storytelling tradition, and it was in fact, according to the song’s writers, inspired by a country song they had heard on the radio. It’s a story about a disengaged father who never has time for his son. By the end of the story, the father is an old man and begging his son to come home for a visit, but the son is too busy with his own life to oblige. It’s a departure for Skaggs stylistically and also thematically, since most of his other songs about family relationships are happy ones. It’s a bit of a stretch for Ricky, but he rises to the occasion nicely. I quite like it and wish it had risen higher on the charts than its #45 peak. Bluegrass music played a huge role in the success of Ricky’s early 80s work for Epic, but he had become decidedly more mainstream by the decade’s end. 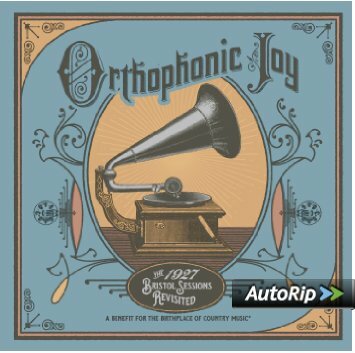 On Solid Ground, however, he gives a nod to his bluegrass roots with a cover of Bill Monroe’s “Cry, Cry Darlin'”, which features harmony vocals by Vince Gill and Alison Krauss. 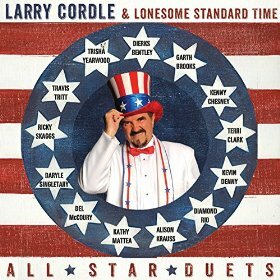 “Callin’ Your Name” sounds like an old bluegrass number but it was actually a new song written by Larry Cordle and Chris Austin, and is one of the highlights of the album. Less effective is Ricky’s cover of the Webb Pierce/Mel Tillis rockabilly number “I Ain’t Never”, which doesn’t quite work. 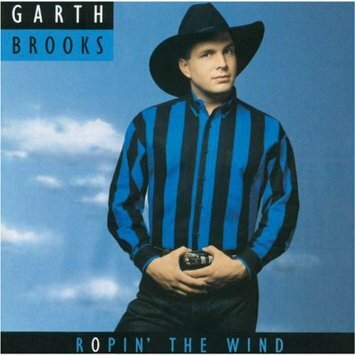 Rounding out the album are a couple of nice ballads, “Every Drop of Water” and “Can’t Control The Wind”. Late career label changes generally do little to revive an artist’s flagging career, and Solid Ground was no exception. In addition to its failure to produce any radio hits, it also became the lowest charting album of Ricky’s career up to that point, landing at #72 on the Billboard Top Country Albums chart. His next and final major label release failed to chart at all; after that he returned to bluegrass full time and released a number of acclaimed independent releases, most of which charted higher than his last couple of albums for the majors. Solid Ground is but a footnote in the Skaggs discography, and not an album that is well remembered today; however, it is nevertheless an enjoyable listen. It’s inexpensive and easy to find.